The new school year is here and with it comes added responsibility. Here are some back to school organizational tips to help you and your children stay sane during the school year. It's too easy to lose a vital assignment or paper in a backpack or messy room. 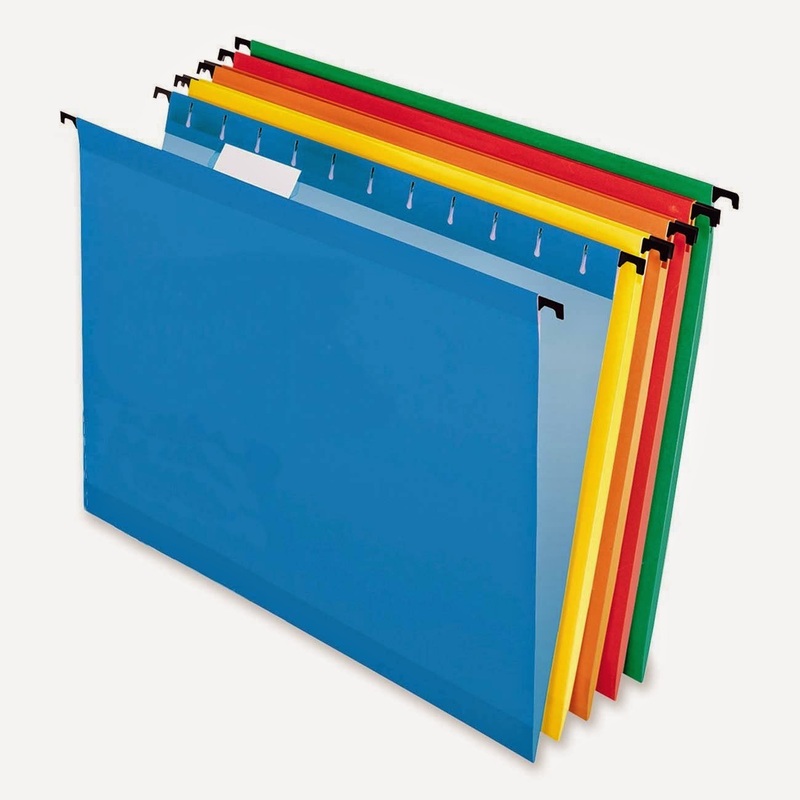 Creating a file folder can help your child stay organized with any worksheets or papers they receive each week in class. This way all of their loose documents can go into one location. School supplies are something that no matter how many we purchase, we feel that we never have enough. 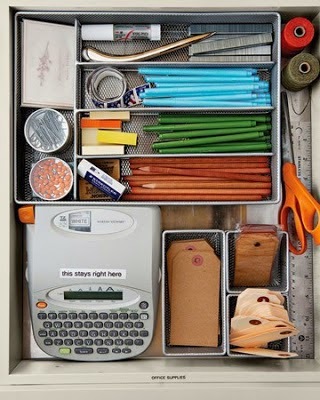 Maintaining a cache of school supplies in an unused drawer can help keep you prepared for any surprise projects or assignments. The worst thing that could happen would be running out of construction.paper the night before your child's project is due. 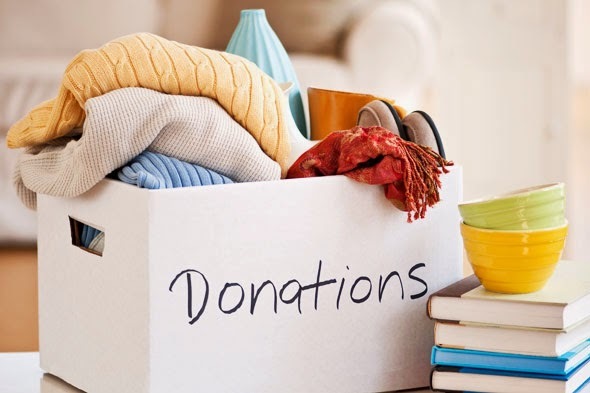 When you have some time, go through your child's unused clothes and put the clothes in a box to donate to a worthy organization. You'll be surprised how much space you can free up simply by getting rid of unworn clothing. And it never hurts to donate to a worthy cause! It’s the First Time I’m Renting At A Self Storage Facility in San Mateo — Where Do I Start? If you decide to phone shop first, be sure to call more than one storage facility. Many facilities have similar pricing, but the difference between actual locations and storage facilities can be worlds apart. Before renting a unit online, visit the facilities. Select one in a part of town that you are comfortable with. Ask yourself these questions: When you visited, was there a representative on the premises to help you? At 5A’s self storage facility in San Mateo – Foster City area, someone is available on site 7 days a week. Did the storage manager make you feel welcome and that your business would be appreciated? At 5A, every customer is important to us. To show our appreciation, we give a free gift for simply stopping by and inquiring about storage. We provide a $20 rent credit if a customer refers us to a new renter. In addition, we offer a $10 Safeway card to someone who isn’t even our customer but refers a new renter. While there is plenty of flexibility to extend your rental agreement, it helps to know how long you will need to store your belongings at the rental facility. Estimating the length of time gives the storage consultant an opportunity to work out the best price for you. Make a careful assessment of the items you plan to store. Put together a basic list of items you want to store and the storage consultant can help recommend the perfect size to fit your needs. Remember to factor in some extra space for ‘wiggle’ room in case you underestimate or change your mind about how much stuff you want to put into storage. If you will visit often, you’ll want a storage unit that is easier to access. If you plan to store your things once and then go away for an extended period of time, you can choose a unit that costs a little bit less simply due to its position at the facility, such as a unit on the upper floor. The 5A self storage facility in San Mateo – Foster City area has a freight elevator and 4-wheel, flat bed dolly to make it easy to store on an upper floor. When you pack your self storage unit, remember to put the things you may need often near the front of the unit, while items you won’t need can be near the back or against the walls. If you will be accessing your things frequently, leave a walkway down the middle. Get some good, strong boxes and pack things right. Stack heavier items on the bottom to create a safe base and put lighter items on top to prevent damage. Take apart furniture, if you can, and wrap items individually to ensure the best protection. The 5A self storage facility in San Mateo – Foster City has a complete line of boxes, packing materials and specialty use items to protect your stored belongings. Self storage facilities now require that you carry insurance on your stored items. The self storage company is not responsible for your belongings stored in the unit. You need to have insurance to protect yourself from losses. You may take the convenient, low cost insurance the self storage facility provides, or a homeowner’s or renter’s insurance policy is another option to cover your belongings while they are stored. For those who are traveling, if you are packing your belongings into a self storage facility and leaving the country to travel for a few years, you’ll want to have the peace of mind knowing that your stuff is well protected while you are away. Self storage is an excellent way of getting organized. Once you’ve cleared out all the extra stuff from your home or office and stored it, you can enjoy more comfort and the convenience that extra room and spaciousness provide! 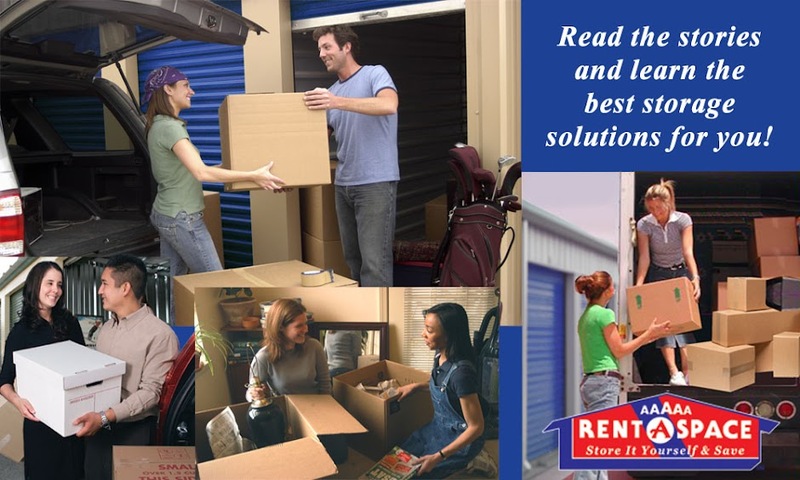 Call 5A Rent-A-Space at (650) 341-2964 with your questions and talk to one of the experts at our self storage facility in the San Mateo - Foster City area. You can also get more information from our FAQ page, use the “Space Calculator” to assist you in getting the right size, and even rent online. Anytime you store your belongings in a storage rental unit, you want to be sure that they will be in the same good condition when you retrieve them. The following are some important things you should know before you rent a storage rental unit in San Mateo. Depending on how you plan to use your unit, as temporary storage during a move, for example, or as a secondary place for seasonal items, packing your storage rental unit takes a little planning. Keep items you plan to access often, like boxes of holiday decorations or sports equipment, in accessible spaces. If you will be going in and out of the unit often, plan a walkway space or aisle between boxes and other items. Make sure you get the right help and guidance when choosing the appropriate size for your storage unit. Right-sizing your storage rental unit depends not only on the items you are storing, but also how often you plan to access the unit, your reasons for needing storage space, and how long you will be renting the unit. Use our Space Calculator to get a suitably sized unit and discuss your needs with our storage counselors. We’ll help you get the right unit and avoid over paying for space you don’t need. Constant changes in temperature and humidity are common in San Mateo, California and these can also be the primary culprits of damage to stored items. Moisture can mildew fabric and warp wood, so it is important to protect your belongings from the outside elements and keep items off the ground. To best protect items like furniture, electronics, clothing, or machinery, you may ask for a free wood pallet to place items on. You can store your items upstairs where there is less exposure to weather conditions. We also offer moisture kits called “Driz Air” that take humidity out of a unit. Some careful planning will save you money and heartache when it comes to fragile items. Wrap glass and other breakables individually. Use bubble wrap, foam sheets, and packing peanuts to keep individual items separated. To keep fragile items from breaking, square off some space for them in a corner of your storage unit. Put heavy items, such as boxes, on the bottom of any stack. It is now mandatory that anyone storing items in a rental space has insurance. Hence, we require that our clients insure the goods they intend to store. Storage insurance is always available to you when you rent your unit, but you can also contact your homeowners’ or renter’s insurance company to get coverage for the items in your storage rental unit at very little additional cost (if any). You can also get more storage information from our FAQ page and reserve your unit online. Call 5A Rent-A-Space at (650) 341-2964 with any questions and talk to one of our self storage experts in the San Mateo - Foster City area.